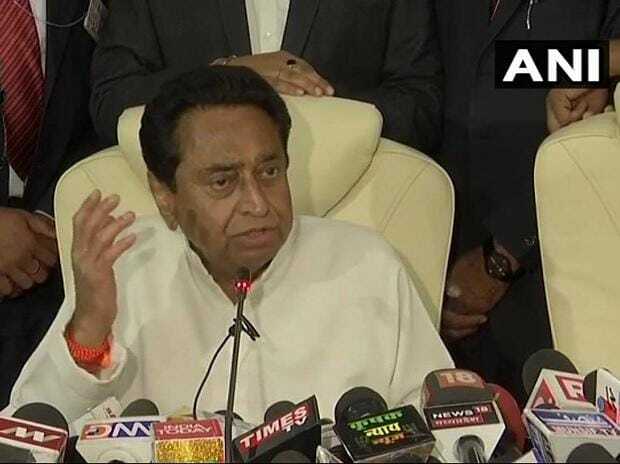 Madhya Pradesh chief minister Kamal Nath's son Nakul, who Tuesday filed his nomination for the Chhindwara Lok Sabha seat, owns movable and immovable assets worth over Rs 660.01 crore. The figure, mentioned in his affidavit filed along with the nomination papers, is over five times the assets of his parents, which as per MP CM Nath's affidavit stood at over Rs 124 crore. Nakul Nath, a businessman-turned-politician, holds movable assets worth over Rs 615.93 crore while that of his wife Priya is over Rs 2.30 crore, as per the affidavit. The value of his immovable assets is over Rs 41.77 crore while his wife does not own any immovable asset, as per the affidavit. Nakul and Priya Nath don't own any vehicles, the affidavit stated. He owns 896.669 grams of gold bars, 7.630 kilogrammes silver, 147.58 carat diamond and stone jewellery worth over Rs 78.45 lakh while his wife possesses over 270.322 grams gold, 161.84 carat diamond and stone jewellery valued at over Rs 57.62 lakh, the affidavit said. As per Income Tax Return filed for the year 2017-18, Nakul Nath has shown annual income of over Rs 2.76 crore while his wife's income stood at over Rs 4.18 crore. He also has deposits in various bank accounts and shares in firms and institutes including Institute of Management Technology (IMT) in its Dubai and Sharjah campus and Span Air Private Ltd. The affidavit stated that Nakul and his brother jointly own a total of 7.82 acres of land in Chhindwara district. The poll debutant also also shared his five social media accounts including his website, Facebook, Twitter, Instagram, Google+ and Blogger. Nakul is contesting from Chhindwara constituency, where he is up against the BJP's Natthan Shah, a tribal leader and former MLA. Nakul has a degree in Business Administration from Bay State College, Boston, Massachusetts, USA.